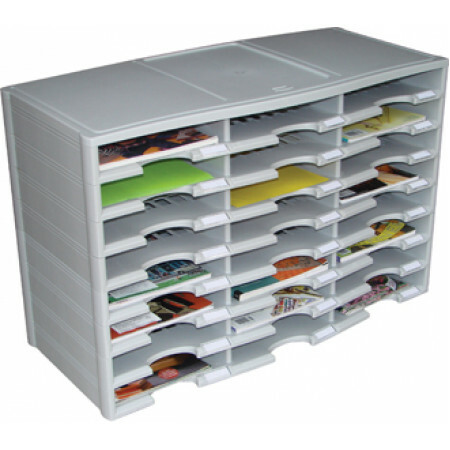 Economy, Light Duty Literature Plastic Organizer with 24 pockets, keeps your faxes, progress reports and computer printouts organized and at your fingertips. A great addition to any mailroom, office, school or warehouse area. • Heavy duty, durable plastic construction. • Each shelf front comes with a snap on plastic guard for a label holder. Color: Available in Grey or Black, please specify when ordering.